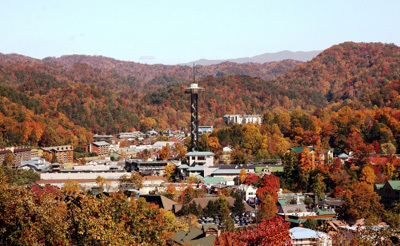 Three thriving resort communities are nestled in the foothills on the Tennessee side of the Great Smoky Mountains - Gatlinburg, Pigeon Forge and Sevierville, Tennessee. The Bolze Estate overlooks the town of Gatlinburg. Surrounded on three sides by Great Smoky Mountains National Park, Gatlinburg takes pride in its mountain heritage and the local culture of this gateway city to the Smokies. Small town goodness is everywhere you look – from quaint shops and unique art and crafts galleries to the walkable downtown area bustling with friendly faces, fun attractions and hometown restaurants. In this outdoor lover’s paradise, challenge your skills on the hiking trails, embark on a fly fishing adventure and then simply relax in a quaint mountain chalet, tucked away from the rest of the world. Explore homegrown arts and culture, dine on traditional southern cuisine, find shopping treasures and enjoy spectacular events held year-round. The three communities are located between Asheville, North Carolina, and Knoxville, Tennessee, on Interstate 40 at exit 407. Sitting on the edge of the Great Smoky Mountains the area is easily accessible by car or plane. It is less than one hour from Knoxville's McGhee Tyson Airport, with more than 100 commercial flights per day. The Pigeon Forge / Gatlinburg Airport is only minutes away with a 5,500-foot runway which services small aircrafts including corporate jets. Both taxi and rental services are available. There are over 71,000 residents in Sevier County. Sevier County includes Sevierville, Gatlinburg, Pigeon Forge, Pittman Center and surrounding communities. Sevier County has over 3,000 lodging facilities including campsites. Types of accommodations include secluded mountain cabins, modern condos, luxury hotels, water park hotels, moderate family motels and RV parks. Sevier County provides lodging for approximately 40,000. Attractions range from museums featuring muscle cars and warbird aircraft to NASCAR themed go-kart tracks, underground cave tours, petting zoos and even interactive mini-golf courses. Located in the heart of the best outlet, antique and craft shopping in the country, the area is a shopper's paradise. From designer clothes and outlet stores to mountain crafts and flea markets, shoppers find a variety of treasures in Sevier County. 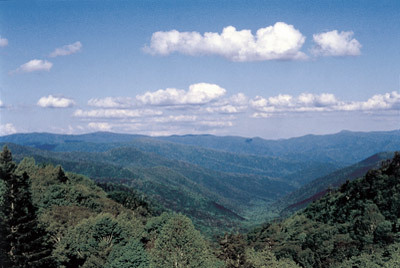 The Great Smoky Mountains are located within eight hours of two thirds of the entire population of the United States and is the most visited national park in the United States. Combined with the natural beauty of this unspoiled wonderland, it is the number one destination for families wanting to spend a fun filled, inexpensive vacation in one of America's premier locations. In fact, 13+ million visitors travel to the Smokies each year to enjoy shopping, golf, white water rafting, hiking, fishing, snow skiing, bear watching or just plain relaxing! With the Hard Rock Cafe, NASCAR Speedpark, Dollywood, Ripley's Aquarium, multiple entertainment theaters, tons of shopping venues and sumptuous food, there are endless ways to enjoy your stay in this safe and pristine paradise!